Without realizing it, most of us have let our businesses make the rules for us, effectively turning us into employees. As a result, the business gives us money, but not time or significance. Why wait around for retirement for those two things? 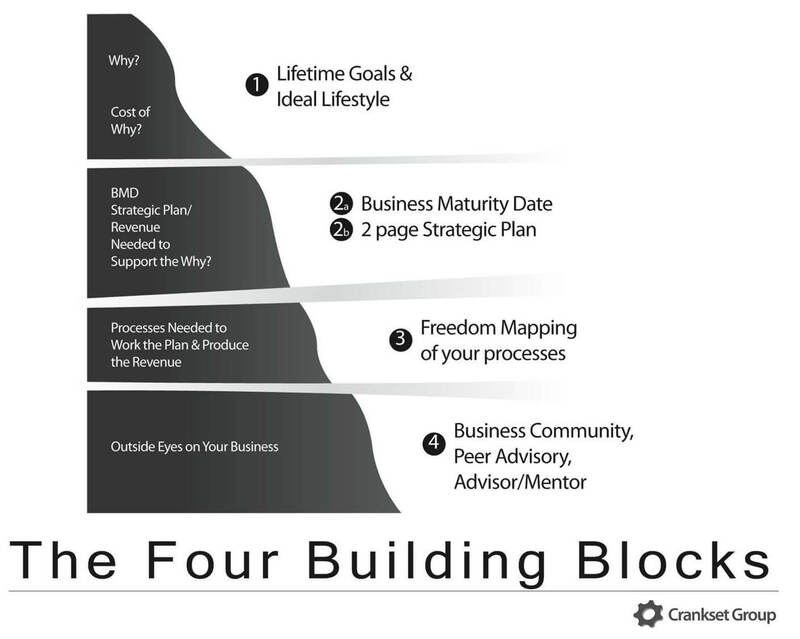 The 4(ish) Building Blocks of any Successful Business. There are Four Building Blocks of a successful business. You can go for 30 years and never pay attention to any of them, but a successful business owner will proactively get these four things working in their business to lead them from survival, through success, to significance. Working hard and making money is not the answer. We get what we intend, not what we hope for. If we intend to work hard and make money, we’ll get that. But if we intend to build a business that will support our desired lifestyle, we’re much more likely to get it.